Say goodbye to all these blaring whites. 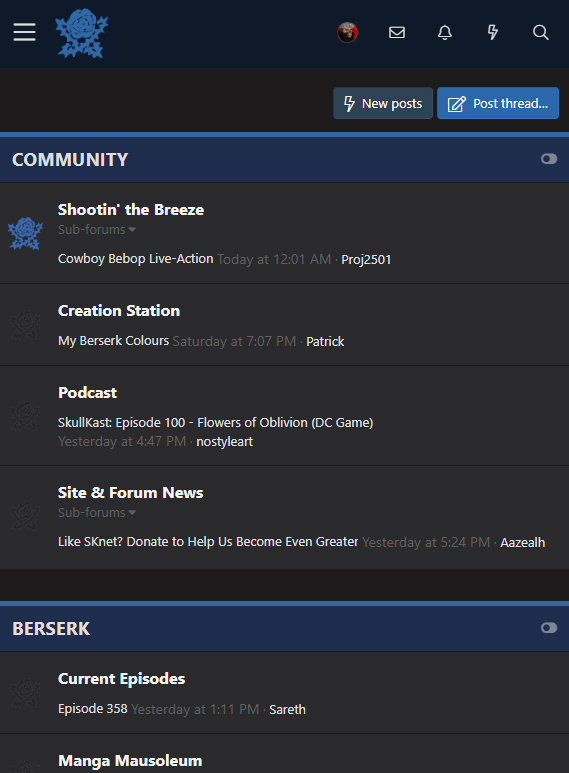 I've designed a theme/style for the forum that turns everything into a more soothing dark. 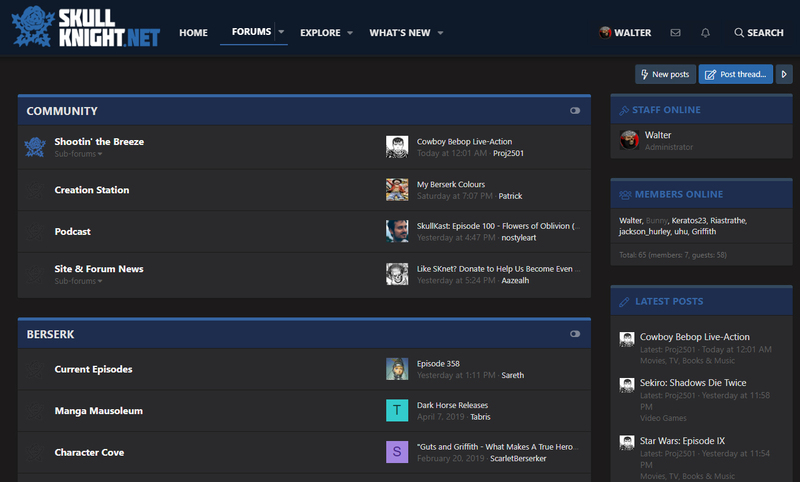 Perfect for browsing at night, and all you have to do is click one button to swap between them (scroll to the bottom of the forum). Yes! This is very neat. Thanks Walter, I really prefer the board with that style! It's amazing! I also love that the colors change from red to blue.